NutriSource pet food brands (NutriSource, PureVita, Natural Planet) are dedicated to the long term health of family pets. That very commitment is what drives us to create the highest quality pet food you can buy. That’s our promise in every bag. We are family owned and community produced. Tuffy’s Pet Food exemplifies the heart of Perham and small towns everywhere. Compassion, integrity, a deep rooted sense of community, and a passion for producing safe products at the highest production standards possible guide our choices. Being family owned means we CAN make decisions based on what is best for our employees, our community, our pet supply retailers, and our ultimate customer – the family pet. We promise that every bag will reflect our passion for creating the highest quality super premium pet foods that are only sold at retail by family owned, community supported, pet loving operations. Our retail partners further our passion through their educated operations dedicated to long term customer retention of our brands. Their staff understand the importance of safe pet food handling, how to recommend our nutritionally appropriate pet food formulas, and ultimately deliver amazing customer service. 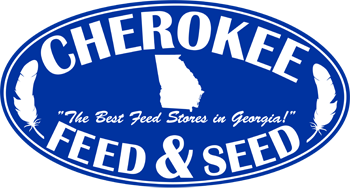 NutriSource Products are available at all Cherokee Feed & Seed stores.